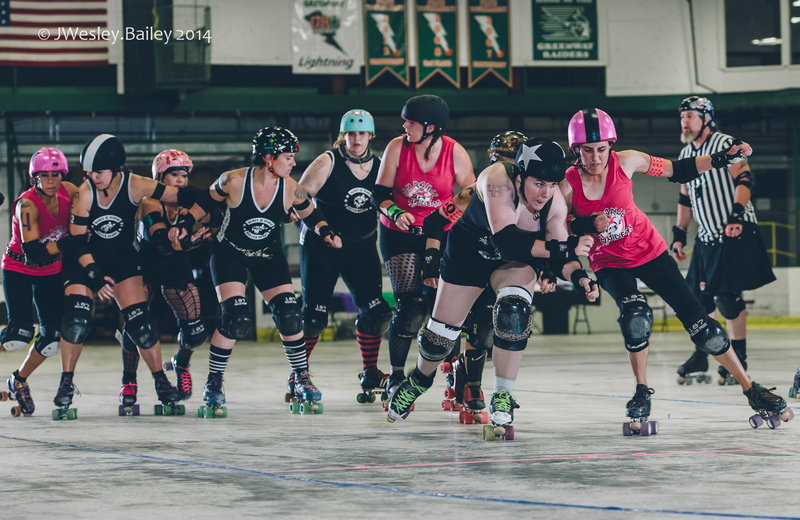 Join the Iron Range Maidens at 6pm on Saturday, October 3 when we take on the Mankato Area Derby Girls at Hodgins-Berardo Arena in Coleraine. Tickets are just $5; children age 5 and under get in for free. Doors open at 5:30 pm. Check out the event on Facebook for more details. Grand Rapids Area Roller Derby has just begun its 2015 season, and now is a great time to join! We’re currently practicing on Tuesdays and Thursdays from 7:00-9:00pm at Hodgins Berardo Arena in Coleraine. Stop by and check us out! 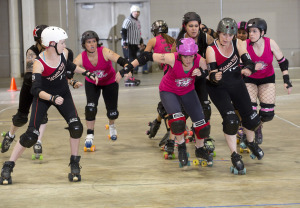 Skaters must identify as female and be at least 19 years of age with current medical insurance. Referees, who also skate, can be either male or female, and must be at least 19 years of age with current medical insurance. Want to get involved but don’t want to skate? We are always looking for league volunteers for bout days and more! Stop by practice or email info@ironrangemaidens.com. Ending the Season With a Bang! 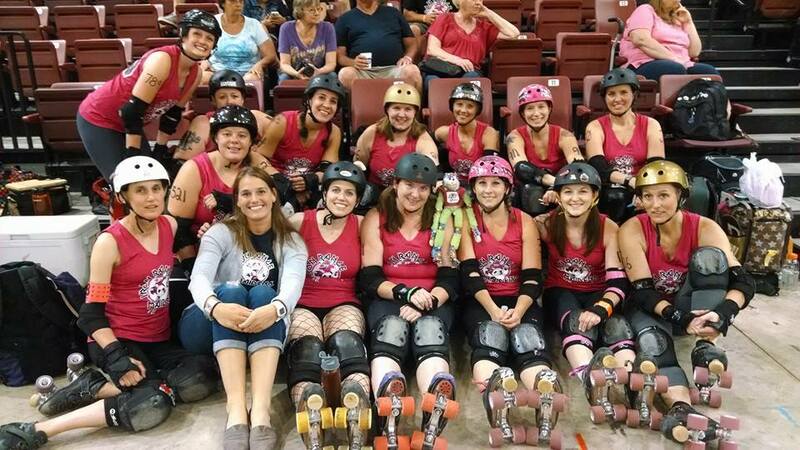 The Iron Range Maidens went international for their last bouts of the 2014 season. The team participated in a double header in Brandon, Manitoba. 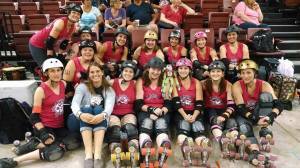 Gapland Roller Girls were the first opponents. It was a nail biting bout with a final score of 164 to 178 with Gapland taking the win. The second bout of the evening was against Gang Green. 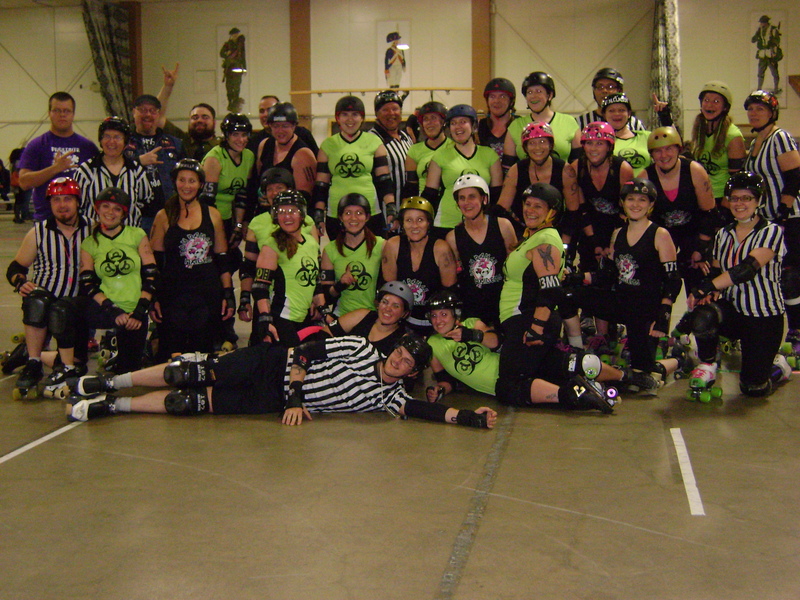 IRM played Gang Green back in August at home, with a tough loss of 165 to 197. Despite IRM’s spirit, with a short roster of 10 skaters, they were unable to bring home the win. Final score was 137 to 240. 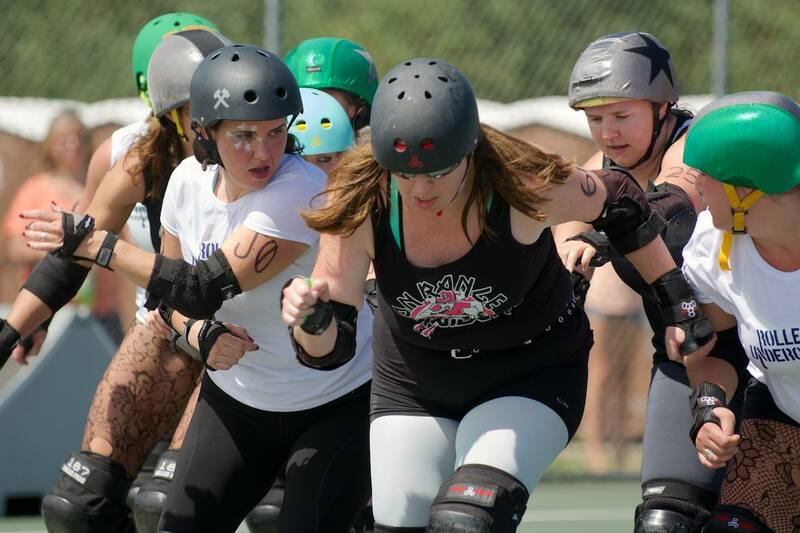 The 2014 season may be over but Grand Rapids Area Roller Derby Association is already digging in for 2015. 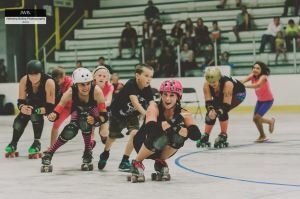 The Women’s Flat Track Derby Association (WFTDA) announced GRARDA has been accepted as an “apprentice” affiliate of the WFTDA, the governing body for women’s amateur flat track roller derby. 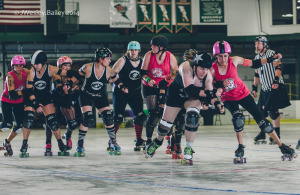 GRARDA joins rank with more than 300 all-female skater-owned and -operated leagues worldwide that have united to lead the growing sport of women’s flat track roller derby. 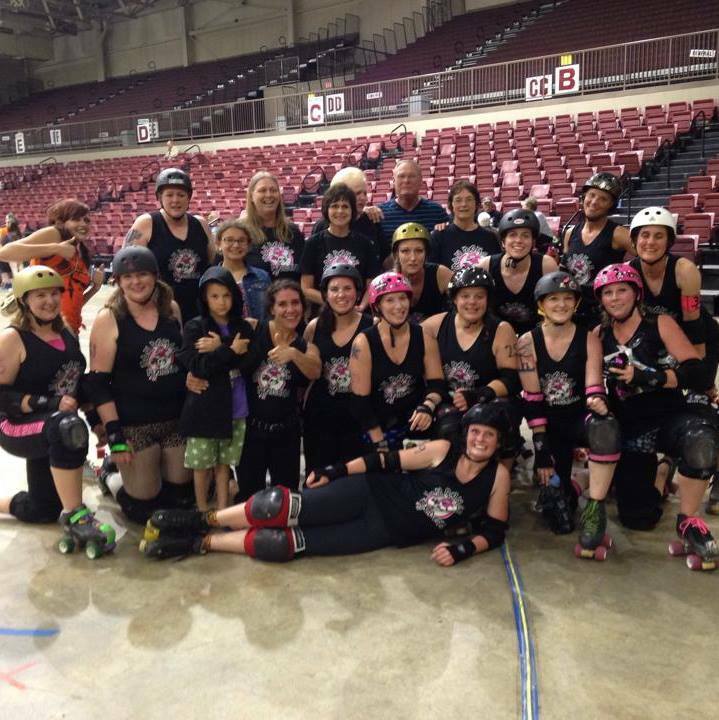 Minnesota Roller Girls will be working with GRARDA to complete necessary requirements to become full WFTDA members. 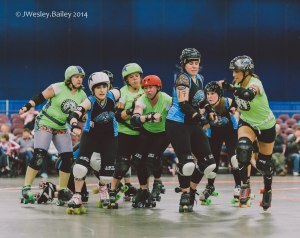 GRARDA is looking forward to the challenge and can’t wait to be official WFTDA members. Even though there are changes on the horizon, GRARDA has not forgotten what has gotten them there. 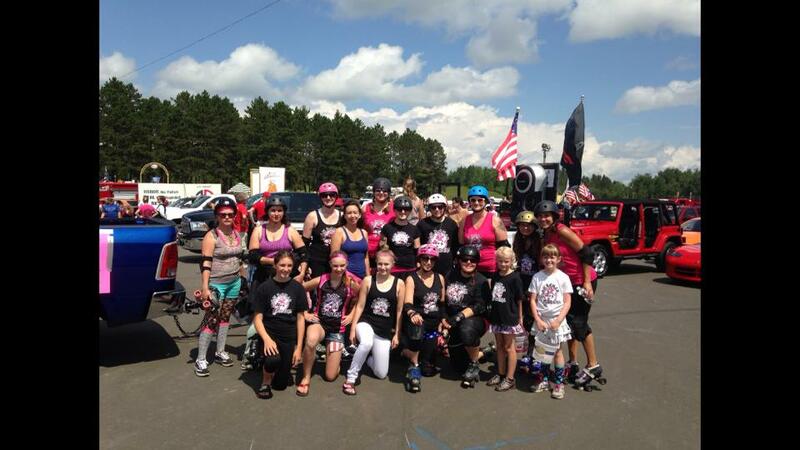 The Iron Range Maidens and Attackonites would like to thank everyone who has supported them. Without the volunteers, sponsors, refs, fans and family members the league would not exist. They also want to thank the people that take the plunge and skate with the team. 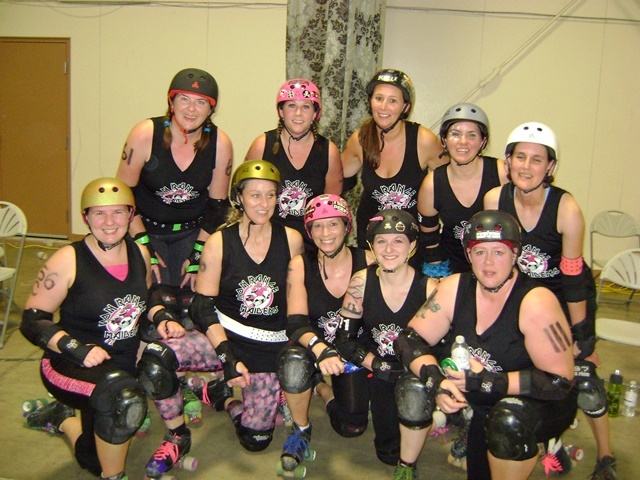 GRARDA welcomes five new skaters and one returning skater after recruitment night in the beginning of October. 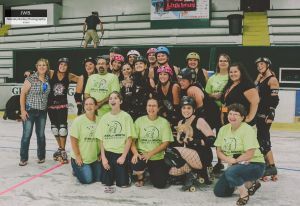 On September 27, GRARDA hosted their last home bout of the 2014 season. The double header was action packed. The first bout was the Dirty Ores versus the Shipwreckers. 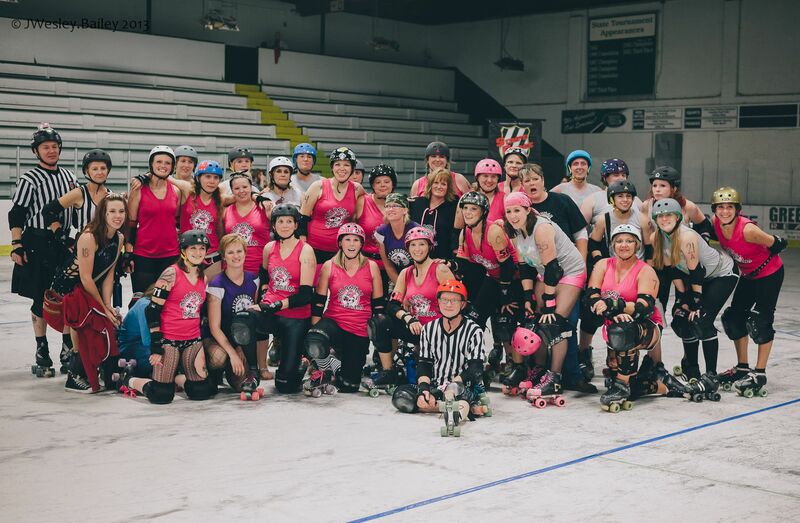 The main bout was the Iron Range Maidens versus Dames of Anarchy (DOA). The Shipwreckers showed their endurance by playing with a short roster of only 9 skaters. The Dirty Ores played with integrity and displayed their strong booty blocking skills. With a final score of 236 to 139 the Shipwreckers took the win. 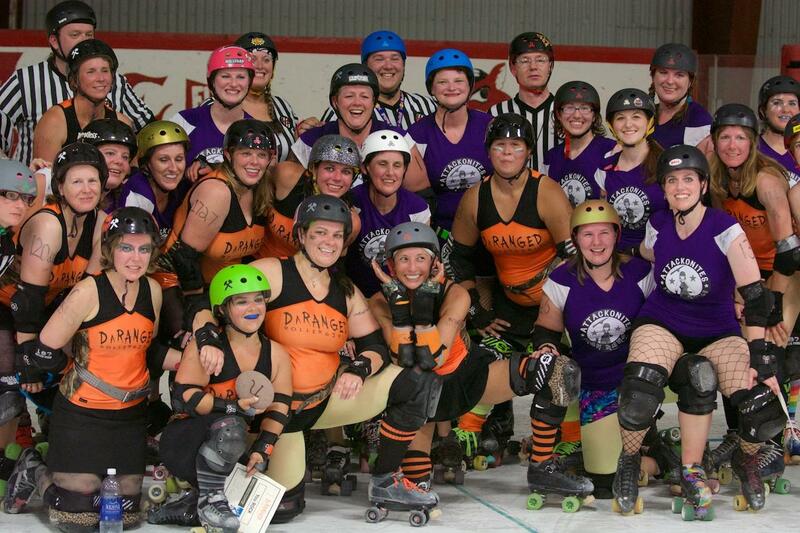 The night was just getting started when the Maidens took the track against DOA of Mason City Iowa. 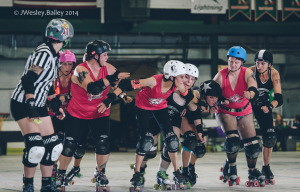 It was a bout full of big hits, quick skates and a little dancing. 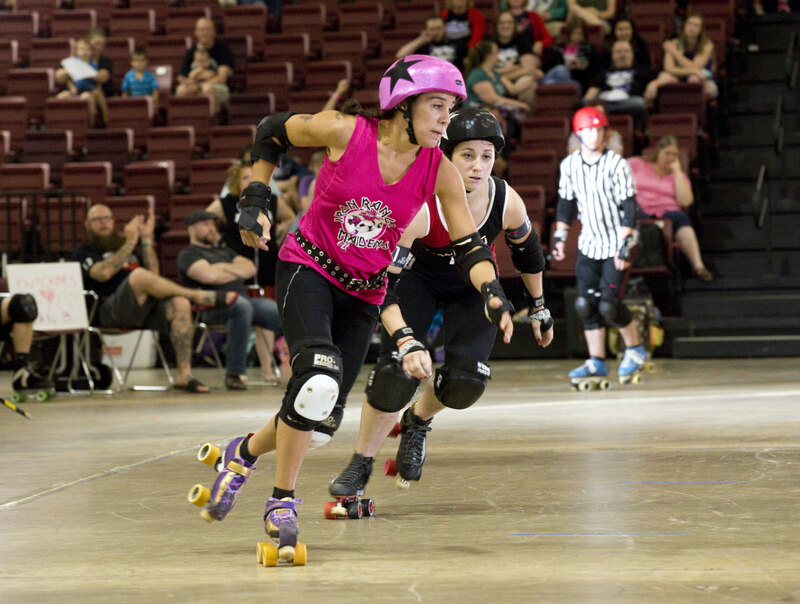 DOA kept the score within 50 points throughout the bout, but was unable to close the deal. Maidens won with a final score of 219 to 172. Northern Lights Community School was the bout beneficiary. Thanks to the fans GRARDA is able to help send students to London. Bout beneficiaries are community, non-profit organizations who receive a portion of the ticket sales from that bout. 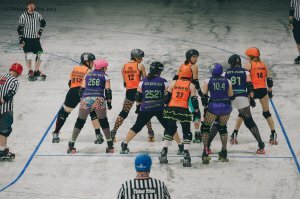 GRARDA is looking for skaters and referees. 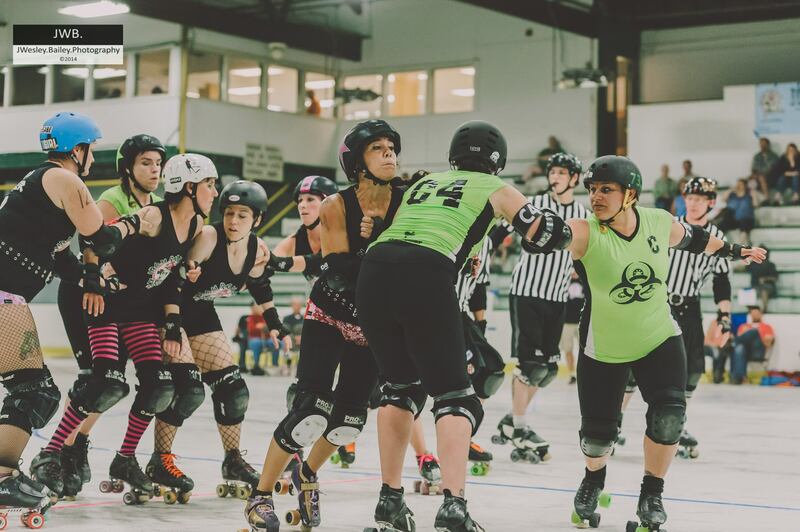 There will be two recruitment nights this month: Monday, October 6th from 6pm-8pm at the Northern Lights Community School in Warba and Tuesday, October 7th from 6pm-8pm at the Grand Rapids Armory. Interested people must be 19 years or older with health insurance. 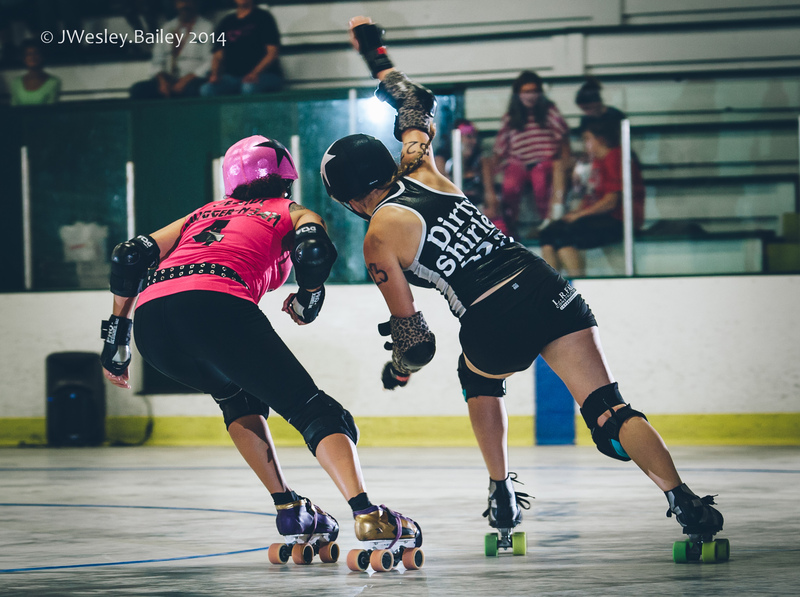 Come ask questions, try on some gear and meet some derby girls. The team would like to say thank you to all their fans and sponsors for your support this season. GRARDA is not possible without you. 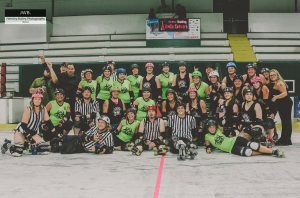 Maidens have one more away bout in Manitoba this year. 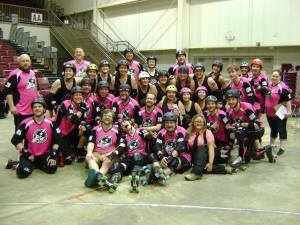 The skaters hope to see you all for their 5th season in 2015! Watch for 2015 season dates on the website or on Facebook. 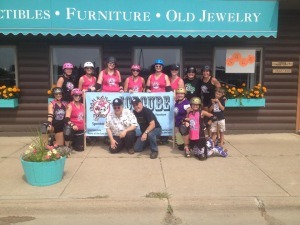 The Iron Range Maidens started out their day on August 9 by skating in the Remer Harvest Days Parade with new sponsor, The Icecube. 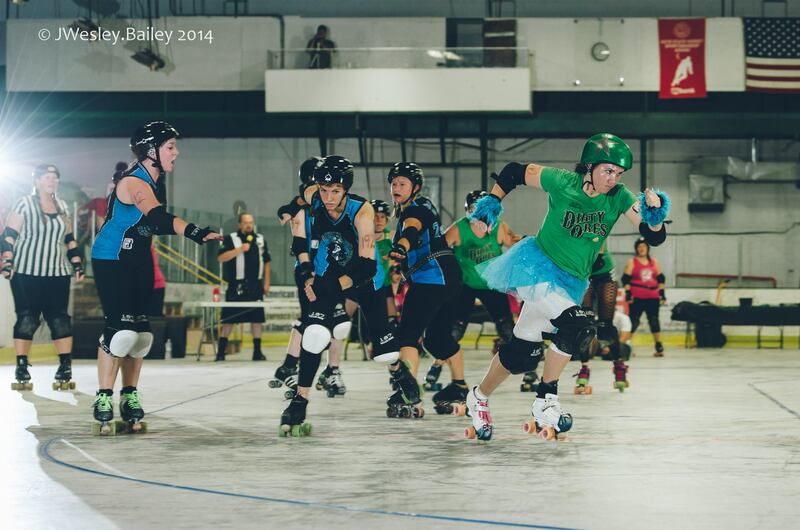 Later that evening, the Maidens took on Team Gang Green of the Wheat City Roller Derby League of Brandon, Manitoba. It was a hard fought bout, but Team Gang Green came out on top with a score of 197-165. Star of the North Humane Society was the bout beneficiary, and both teams had fun playing with the cute and furry animals. 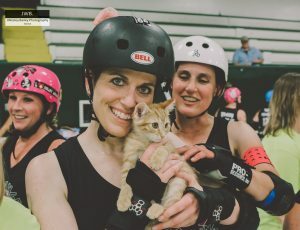 A few kittens met their new families at the bout! 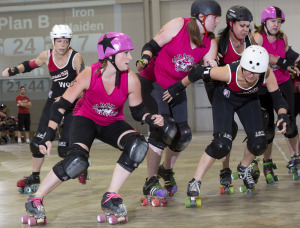 The Grand Rapids Area Roller Derby Association has been a busy group. Activities have ranged from fundraisers to parades to bouts. 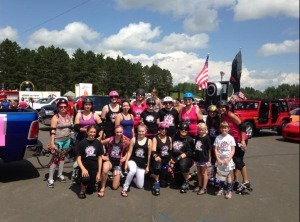 The Iron Range Attackonites participated in Ely’s very first home bout on July 12th. The DaRANGED team was unable to defeat the Attackonites with a final score of 117 to 262. Win or lose the Ely team had a great turn out and were a very welcoming team. The newly formed team of Gilbert called Roller Underground, put on a scrimmage at Hoyt Lakes Water Carnival. Martyr Maker, Meg My Day, Nite Mare, and Sarah Whalin, from GRARDA, were able to join in on the fun. 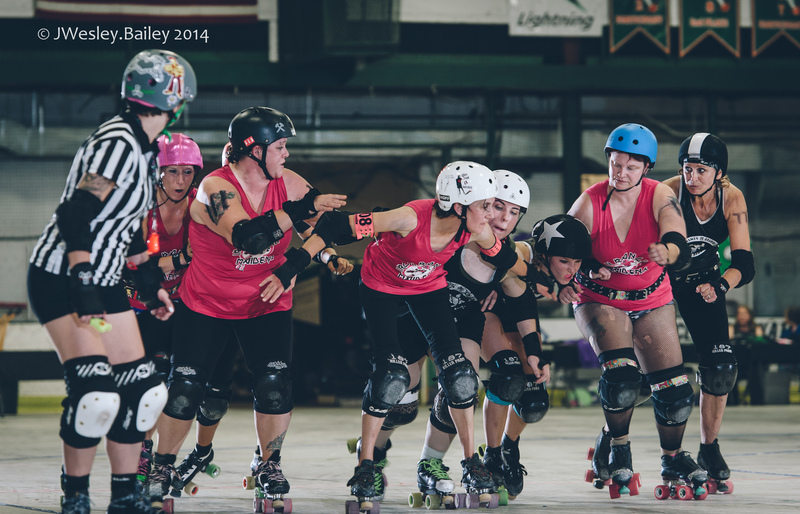 A scrimmage is like a practice bout; people are able to come, watch and get the game of derby explained to them. GRARDA was present for all 3 days of Tall Timber Days. They started off on Friday with a pizza fundraiser at Ogles. Thank you to all who came out to support them. Push-a-derby-girl races were held on Saturday. 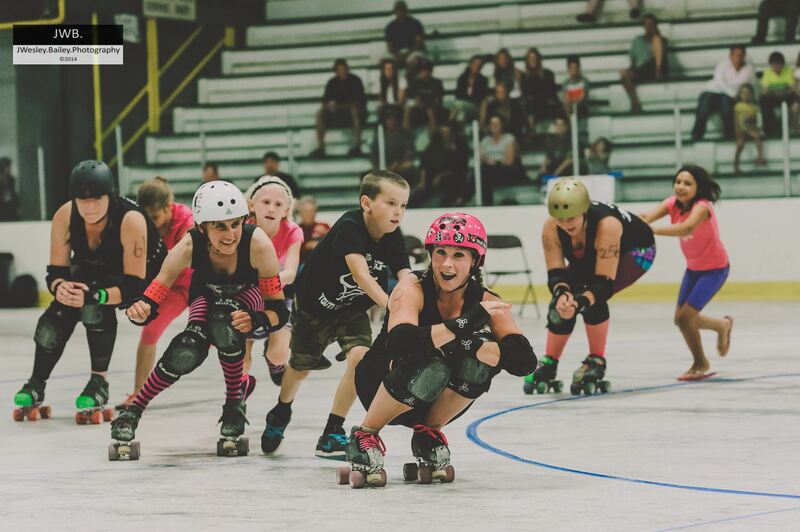 GRARDA likes to include children activities to encourage families to come to roller derby events. 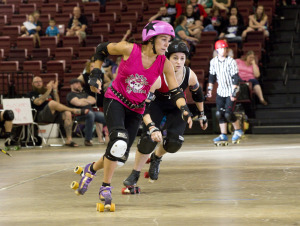 Push-a-derby-girl races are held at the halftime of every home bout. Lastly the derby girls skated in the parade. 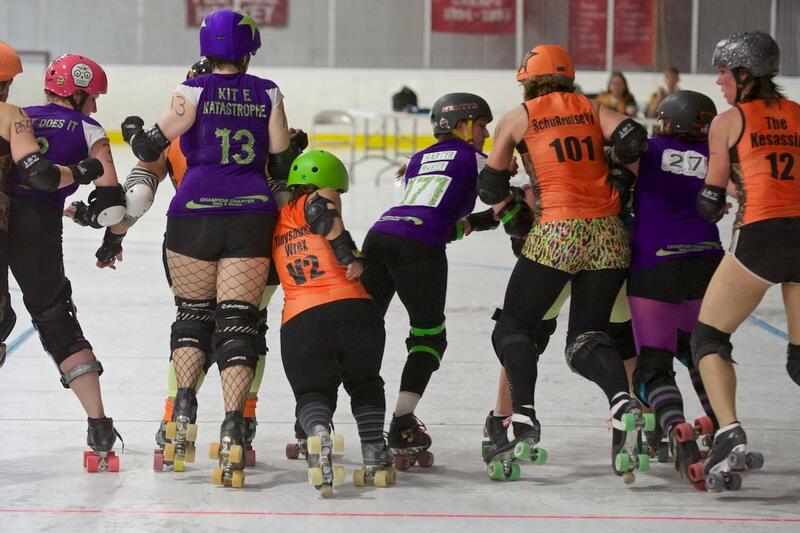 Keep missing these derby girls? Don’t worry there are plenty more events coming up. 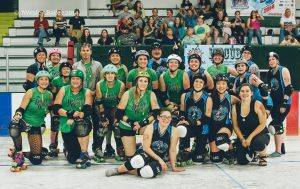 The Iron Range Maidens are playing August 9th at Coleraine’s Hodgins-Berardo arena. Doors open at 6:15pm. First whistle at 7pm. 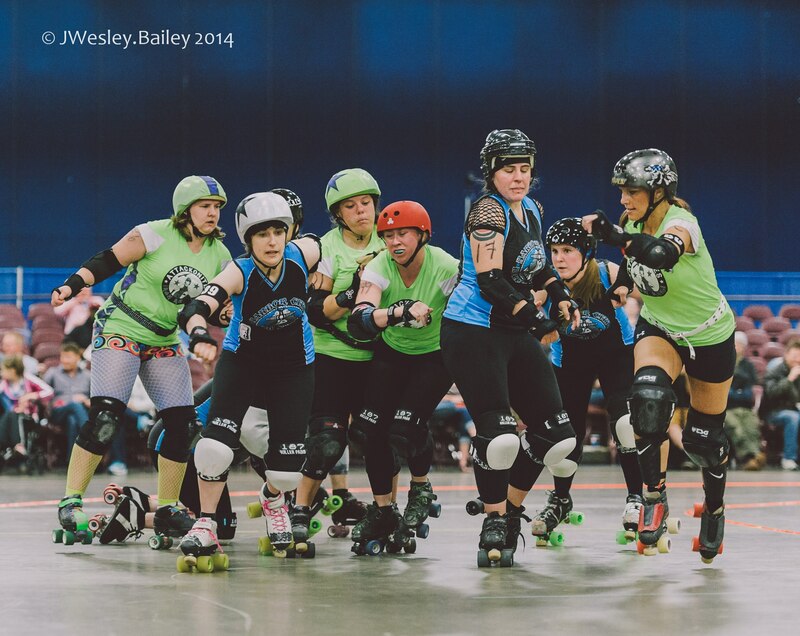 IRM takes on Brandon, Manitoba’s team Gang Green. Tickets are available ahead of time at Reed Drug, Vidcom and on our facebook pages Iron Range Maidens and Iron Range Attackonites. There are no additional fees when you buy online. Tickets are also available at the door. The Maidens and Attackonites will also be painting faces from 6pm-8pm at Coleraine’s Fish-A-Rama on Friday August 8th and skating in the Remer’s Harvest Festival parade at noon on August 9th. Interested in doing more than just watching a derby girl? GRARDA is always looking for volunteers, skaters and referees. You can email them at freshmeat@ironrangemaidens.com or find them on Facebook (Attackonites). GRARDA would like to thank you all again for your support. Hope to see you all on august 9th at the Hodgins-Berardo Arena. June 27-29, 2014 – The Iron Range Maidens traveled to Lebanon, Missouri to participate in the second annual Midwest Derby Fest Tournament. This is a double elimination tournament, two losses and you’re out. “This tournament is to show the progression of leagues in tournament play” according to the event’s Facebook page “The format is tough and teams have to show great capacity for endurance, training, coaching, team work and strategy. This by no means is an easy feat.” The bracket was composed of 16 women’s teams. There was a bracket for 8 men’s teams as well. The men and women did not compete against each other. After 13 hours of driving over two days the Maidens faced their first Opponents on Friday night. The Maidens were unable to defeat Plan B with a final score of 113 to 215. Saturday proved to be a better day, pulling out a double win. Mid America Rebels were only able to score 45 points against the Maidens 299. Dark River brought more to the track with a final score of 126 to 104. Sunday brought the possibility of multiple games as long as a win was had. 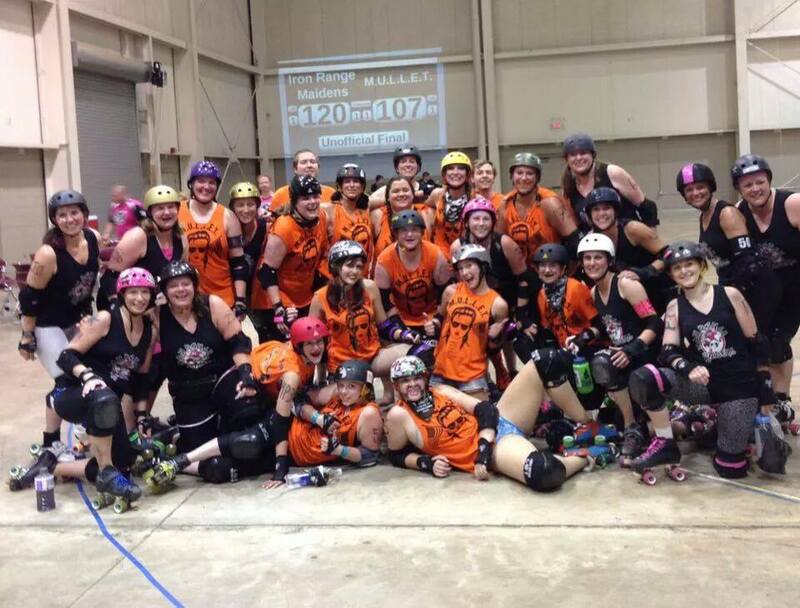 The Maidens proved themselves again against the M.U.L.L.E.T.s 120 to 107. The bouts were only two hours apart with each opponent getting stronger. It was a nail biting game against the Derby Diamonds, with the leading score changing hands almost every other jam. The Maidens fought hard, but the final score did not end in their favor at 96 to 102. 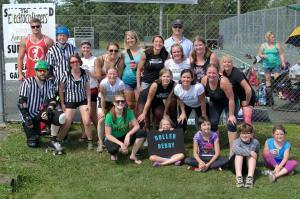 This put the Iron Range Maidens in an unofficial 5th place. This was the Maidens first experience at a double elimination tournament. 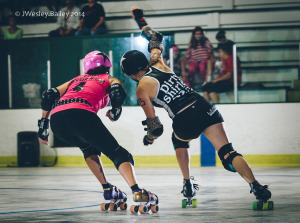 There was plenty of roller derby to watch and much to learn. They were able to cheer on fellow Minnesota team the men’s Terrordactyles. 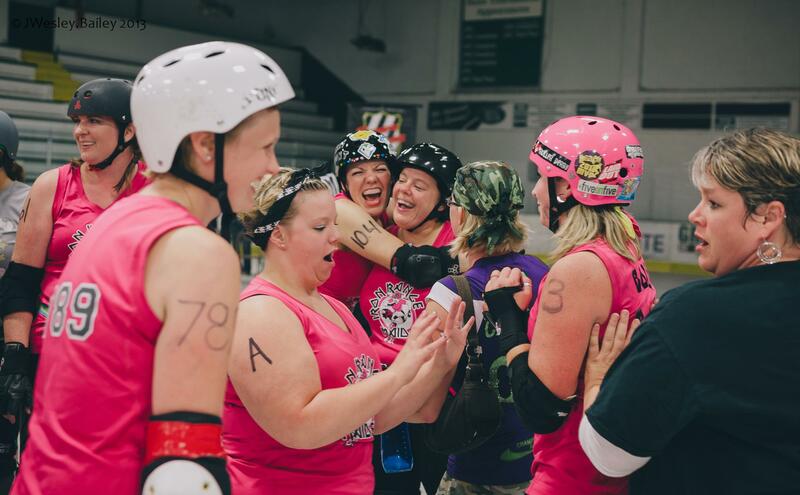 In turn the Terrordactyls cheered for the Maidens and helped bench coach at every bout. Peanut Slugger-n-Jam had family in the area to also cheer on the Maidens. The “Peanut Gallery” with the Terrordactyles proved to be the loudest cheering section of the tournament. The Maidens greatly appreciated the support. You can find some pictures of the event on the Iron Range Maidens Facebook page and also #irm2mdf. To see the Maidens locally, they will be in Coleraine August 9th. 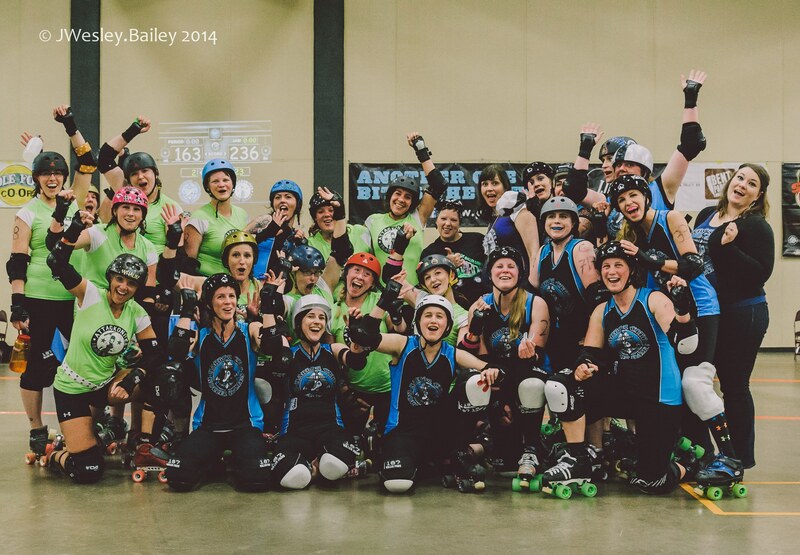 June 14, 2014 – The Iron Range Attackonites skated hard against the Harbor City Roller Dames Shipwreckers. The first half proved to be a challenge with a score of 102 to 101 with Attackonites in the lead. Thanks to practices full of endurance and off skate workouts, the Attackonites dominated the second half with a score of 236 to 163. Grand Rapids Area Roller Derby League is currently undefeated in their 2014 season. The Iron Range Maidens are heading to Missouri June 27-29 to participate in the Midwest Derby Fest Tournament. Their next home bout in Coleraine is August 9th. 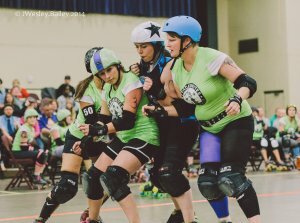 If you’ve been missing out on this roller derby action you can listen to past bouts on the Roller Derby Radio Network on Facebook. 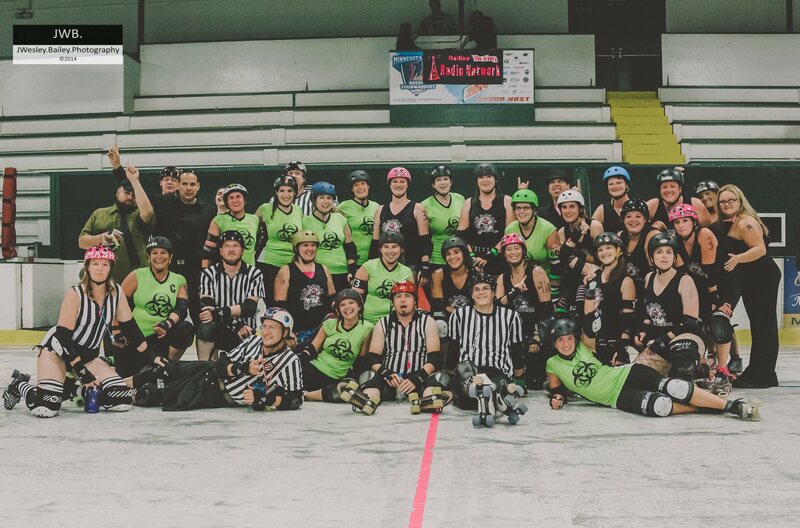 To be a part of this fast growing sport, as a skater, referee or volunteer email freshmeat@ironrangemaidens.com. Thank you for your continued support to our fans and volunteers! September 21, 2013 – Grand Rapids Area Roller Derby ended the season with a dual win! The Iron Range Attackonites beat Ely’s DaRANGED, 189 to 168. 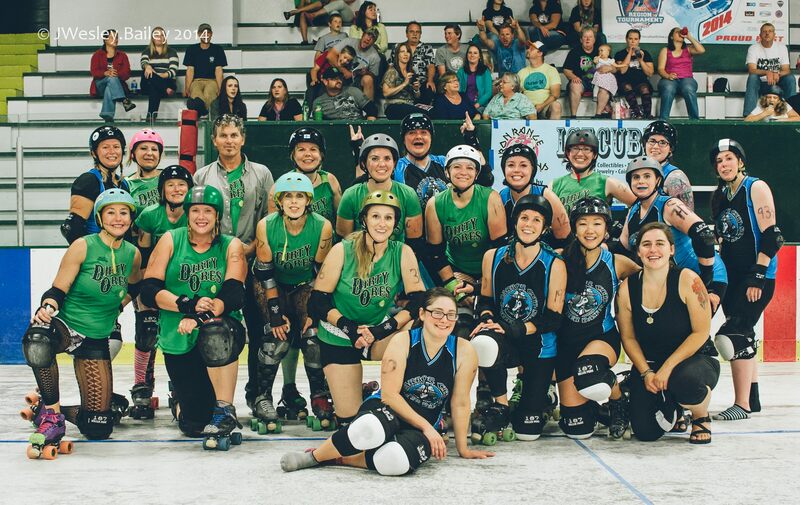 The Iron Range Maidens were victorious over the Eau Claire Chippewa Valley Roller Girls, 318 to 75. 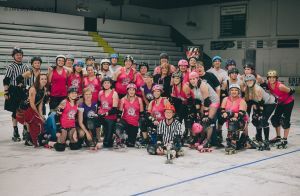 Thank you for supporting your local roller derby! 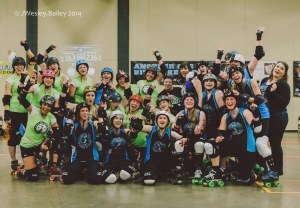 Grand Rapids Area Roller Derby Association was formed in October 2010, and was the first roller derby league on Minnesota’s Iron Range. 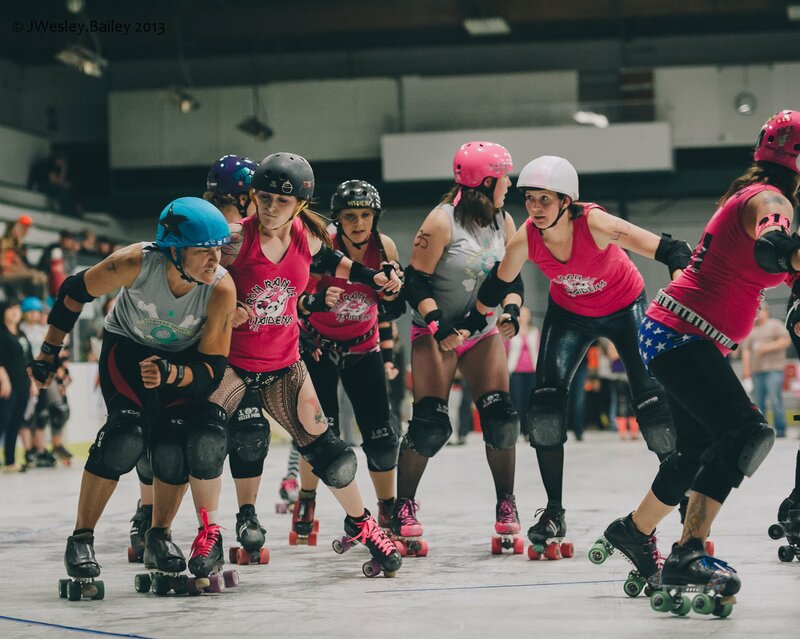 Our mission is to provide an opportunity to empower women in the greater Grand Rapids area through athleticism, sportsmanship, supporting our fellow teammates and giving back to the local community, as participants in a player owned and run flat-track derby league. April 1 Fundraiser at Moose Club!